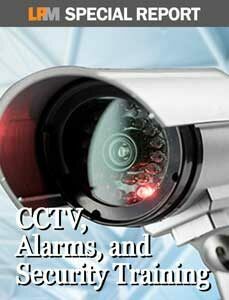 As you know, almost everyone is installing complex CCTV and alarm systems these days. These systems are clearly a benefit to retail operations and the loss prevention professionals who protect them … right? One thing you’ll learn in this report is that almost everyone simply believes that these systems are necessary … without any actual thought having gone into why they’re necessary. “Because everyone else has them” is a reason often underlying such installations. This report helps you avoid that syndrome by outlining the actual benefits of sophisticated retail security systems and explaining how to ensure that you actually reap them. And when it comes to comprehensive plans and integration with other crime prevention measures, this report covers that, too. Perhaps best of all, this report includes numerous case studies of actual retail security system planning and execution. Each real-life case study will help you plan, execute and manage any retail security system your company needs, making you an invaluable asset to your organization and helping you advance your career. Understanding retail security is not important to simply advance your career—it might even save it, as such technology becomes an ever larger part of the day-to-day responsibilities of the LP department. Download this report now at no cost and start leveraging your expertise immediately. Enter your email and we'll send a link to the CCTV, Alarms, and Security Training Special Report right to your inbox.